Brushes are the most commonly used alternative to the ubiquitous wooden drum sticks. They are most commonly found in jazz, blues, country, and pop music settings. They offer a softer and quieter tone than drum sticks and are a great way for a drummer to expand their horizons. These are some of my favorite drum brushes. If you want to replace your drum sticks with bristles, you can check these out. Vic Firth’s Steve Gadd Wire Brush is the signature model used by the legendary Steve Gadd. It is perhaps the brand’s most popular, being equally well-received among pros and amateurs. Though on the pricier side, this set is among the best drum brushes around. 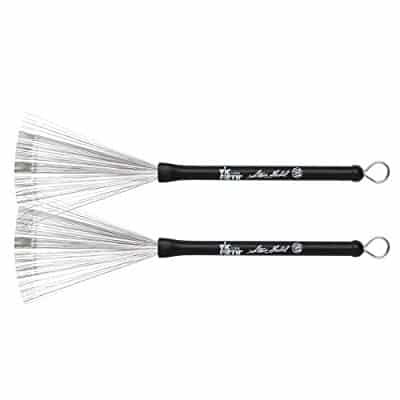 The Steve Gadd Wire Brush comes with a modern rubber-coated handle for superior grip. But keep in mind that this might be a turnoff for traditional players who prefer the classic wooden construction. The bristles are made of high-quality wire and can be retracted via pull-rod on the back end. The maximum spread of the bristles is 5”. They are slightly angled towards the top to help drummers avoid snagging on the drumhead. Thanks to the medium-gauge wire, the Steve Gadd brushes can cover a wide variety of settings, ranging from soft jazz to modern pop and R&B. That said, like the majority of wire brushes, these are best used for ballads and softer music. They’re equally good at practicing and performing duties. Promark is known for their exceptional quality drum sticks and brushes. Like all Promark gear, the B600 Nylon Bristle Brush is designed and made in the USA. The B600 Nylon Bristle Brush rocks a smooth handle of sturdy plastic. The diameter is 0.579” diameter. The handle doubles as brush storage when you’re not playing. The bristles are made of thick nylon, giving this model a pronounced, rich response. This makes the B600s suitable for heavier use and louder settings. When the bristles are fully extended, the brushes are 13.75” long. The bristles can be fully retracted. Thanks to the nylon bristles, you can get a loud and crisp sound with ease. The B600s are a great option when you want to play with drum brushes in a bigger venue (such as a dance hall). You can use them for practicing as well. The VWTR Retractable Wire Brush by Vater is one of the most versatile drum brushes around. It is equally popular with touring musicians, studio session drummers, and amateurs. 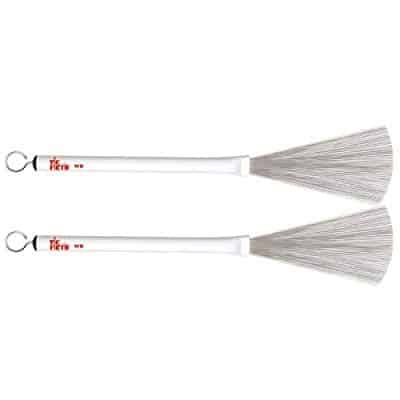 Vater’s VWTR Retractable Wire Brush has a medium-length plastic handle. The grip on the handle is a layer of high-quality rubber. 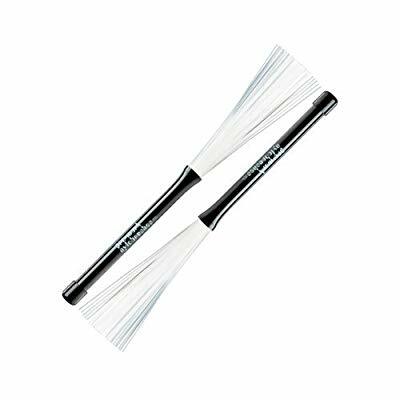 The brushes also have strengthened rubber tips which allow you to play harder stuff when you pull the bristles all the way in. The bristles are made of sturdy wire. The spread and length can be easily adjusted via the pull rod at the back of the handle. The VWTR Wire Brush set can be used for a wide range of styles and genres. The rubber tips and sturdy wire will allow you to play heavier stuff than you would normally expect from an average pair of wire brushes. That said, they can’t match the volume of plastic brushes. 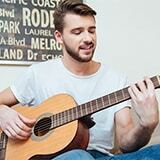 You can use them for practicing, performing, as well as recording duties. RegalTip is one of the heavyweights on the drum stick scene. They’ve been around for decades and their sticks have been used by some of the world’s most prominent drummers. The 538R is one of their best wire brushes. The famous 538R is equipped with a medium-length handle of durable gum rubber which provides a fantastic grip. With the bristles fully out, the overall length of the brushes is 13.5”. The diameter of the handle is 0.53”. The bristles are made of 0.013-gauge wire, which puts them on the lighter side. They’re fully retractable via a pull-rod at the back of the handle. Also, they can easily be adjusted to different lengths and spreads. The 538R model is a jack of all trades and one of the best brushes for drummers who are just getting into them. It can hold its own in any setup which requires brushes, but if you want extra punch go for brushes with plastic bristles. The Boston-based Vic Firth Company has been making professional-grade drum sticks for decades. 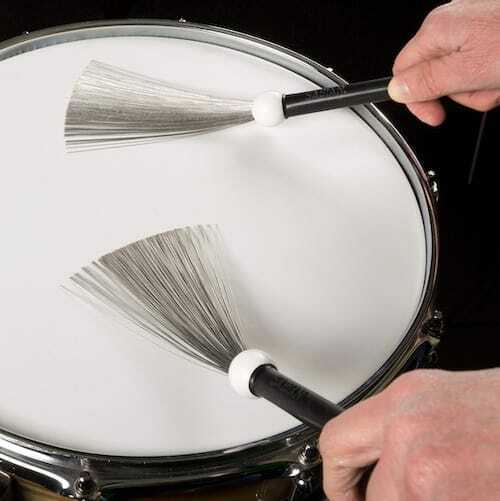 The Wire Brush, also known as “WB”, is used worldwide by both professional and amateur drummers. The Jazz Brush version comes with a medium-length plastic handle of intermediate 0.575” diameter. At the back, the handle sports a pull rod for brush adjustment. There are no rubber grips on the handle. The bristles are made of extra heavy gauge wire. When fully extended, the bristles are 5” long and have a 5” spread. They are fully adjustable. With the heavy gauge wire bristles, the Jazz Brush WB is made for heavier tasks and drummers who want a fuller tone. If you’re aiming for a more mellow sound, you should probably go with a lighter gauge. That said, you can use these for rehearsals, gigs, as well as recording sessions. Drum brushes come in many shapes and sizes, and picking the right pair might be a tricky business. In order to pick the best drum brushes for you, some of the most important things to consider include handle material, bristle material, and weight and size. The handles are most commonly made of wood, plastic, or rubber. Brushes with wooden handles are primarily for drummers who want to switch to brushes but would rather not having to get accustomed to new materials. Brushes with plastic handles are lightweight, while the ones with rubber handles offer superior grip. The bristles are predominantly made of wire or plastic. Wire bristles are best used for ballads, slower songs, and in small, intimate settings. Wire is the traditional material and still the most widely used variety. Plastic bristles, on the other hand, offer a more aggressive, louder sound. Also, plastic brushes do not rust and are a lot easier on the drumheads than their metal wire siblings. It is also important to consider the weight and size of your potential brushes. The ones with wooden handles are typically heavier than their plastic and rubber counterparts, and they’re great for players who like to feel the weight of traditional sticks in their hands. Plastic and rubber handles are for players who want something lighter. Drum brushes are an excellent way for drummers to add more versatility to their repertoire. While picking the right drum brushes is a personal choice, my picks above are a good place to start.